Networking to Help Children, Inc. (NTHC) gratefully invites your business to become a sponsor in our mission to support charitable organizations impacting our community. The mission of NETWORKING TO HELP CHILDREN is to support charitable organizations that have a local reach in our community and/or a national presence, both financially and through volunteering. Together, through the support of our generous sponsors and attendees at the finest social and professional networking events, we’ve raised over $121,122 and have seen these organizations flourish. A requested minimum $100 donation will kick-off your sponsorship with one of the most recognized and respected charitable organizations in our community! Proceeds from the sponsorship is for Networking to Help Children, Inc. operating expenses. Networking To Help Children, Inc. The Results Are In for our February 5th Event!! Networking to Help Children gives a big thank you to Aaron’s Table and Wine Bar​ for donating their venue and providing awesome Complimentary Appetizers for our attendees. Thanks to the 40+ people who came out to show their support and our online donors, we were able to raise $825! All proceeds are being donated to Cystic Fibrosis Foundation! Maryann Hedrick’s guest won the 50/50 raffle and donated All of it back, thank you! And a Special Thanks to our raffle donors: Core Concepts Pilates and Fitness Studio! The mission of NETWORKING TO HELP CHILDREN is to support charitable organizations that have a local reach in our community and/or a national presence, both financially and through volunteering. Together, through the support of our generous donors and attendees at the finest social and professional networking events, we’ve raised over $119,000 and have seen these organizations flourish. No RSVP required, this is an open event & everyone is welcome! 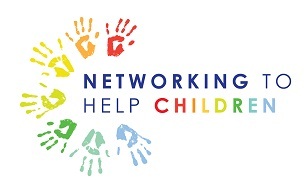 Cash or Check Payable to Networking to Help Children, Inc. Core Concepts Pilates & Fitness Studio Giveback Party Results!! Special thanks to Core Concepts Pilates & Fitness Studio for hosting a benefit for Networking to Help Children. They raised over $1200 for us plus donated over 100 toys to Speak Up for Kids Palm Beach County. A community partner working hard to help local children! The Results Are In for our December 5th Event!! Networking to Help Children gives a big thank you to Dive Bar Restaurant for donating their venue and providing awesome Complimentary Appetizers for our attendees. Thanks to the 55 people who came out to show their support and our online donors, we were able to raise $1,120! All proceeds are being donated to Speak Up For Kids of Palm Beach County! Bob Bangs won the 50/50 raffle and donated half of it back. And a Special Thanks to our raffle donors: Core Concepts Pilates and Fitness Studio and Dive Bar Restaurant!